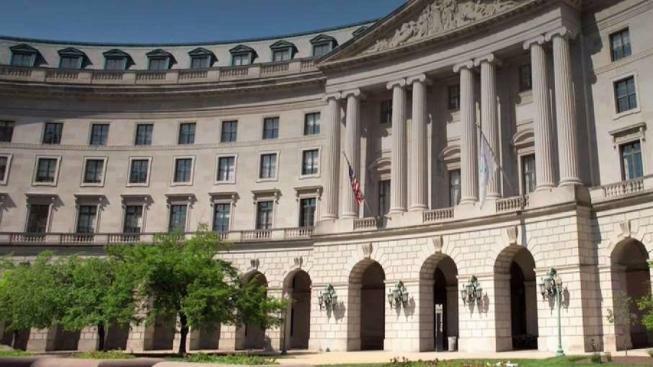 Threats against employees of the U.S. Environmental Protection Agency have spiked 50 percent this year, according to an investigation by the News4 I-Team. Agents with EPA’s Office of Inspector General have launched at least 70 investigations into threats against EPA employees in 2017, including a surge of threats against agency Administrator Scott Pruitt. None of the threats resulted in injury, according to investigators, but the threats have been deemed legitimate risks to the safety and well-being of some agency employees, including those at EPA headquarters at Federal Triangle in Washington, D.C.
"I do feel we’ve prevented acts of violence through our investigations. I feel very confident we have," said EPA assistant inspector general for investigations Patrick Sullivan. Sullivan said the agency often touches on politically sensitive issues, which can inspire angry responses. “Sometimes people are mentally ill," he said. "Sometimes they're members of radical groups on the left side of the political spectrum or the right side. Sometimes they're members of domestic terrorism organizations." EPA provides its own internal security for staffers and agency officials. Those efforts are supplemented by investigators with the agency’s inspector general. The federal agents are armed and trained at the federal law enforcement training center. Officials who spoke with the I-Team said an increase in threats against agency Administrator Scott Pruitt, who has overseen high-profile policy changes at the EPA, is responsible for some of the sharp increase in cases in 2017. An EPA spokeswoman said the agency does not comment on security or threats against the administrator. Some of the threat cases targeted the agency’s former administrator, Gina McCarthy, according to the I-Team report. Court filings from prosecutors said former EPA employee Barbara Jordan is awaiting trial for sending an email threatening to murder McCarthy and other colleagues. According to the filings, Jordan wrote that she was outside a hotel and that "i am going to murder those (expletive).... and i hope they drop dead like flies.” She's pleaded not guilty. According to a public report from the EPA Office of Inspector General, agents ordered a person banned from entering agency grounds in November 2016 for threatening EPA staff. Several D.C.-area members of Congress said they would support a boost in funding for federal inspectors general to ensure the safety of federal workers. "In a climate of intense anti-government hostility, federal employees like scientists and medical researchers face relentless political and bureaucratic attack," Rep. Jamie Raskin (D-Md.) said. "The inspectors general play a key role in protecting federal employees' rights and their ability to do their jobs." "Civil servants work hard every day to serve the American people -– from caring for our veterans, to keeping our borders safe, to protecting our environment, to performing life-saving research," Sen. Chris Van Hollen (D-Md.) said. "We must ensure they have a work environment free from threats and intimidation, and I’m committed to ensuring agencies have the resources needed to keep their employees safe." "It's critical that inspectors general have the independence and resources necessary to carry out effective oversight of their agencies, especially threats against federal employees," Rep. Gerry Connolly (D-Va.) said. Reported by Scott MacFarlane, produced by Rick Yarborough, and shot and edited by Steve Jones.